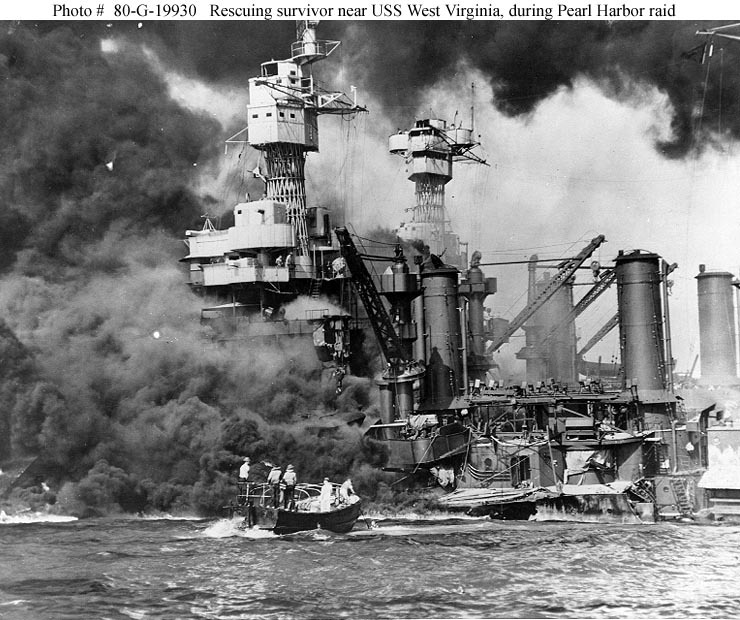 USS West Virginia: The Battleship That Symbolized The Greatest Generation. Thirty-two words changed the course of human history. 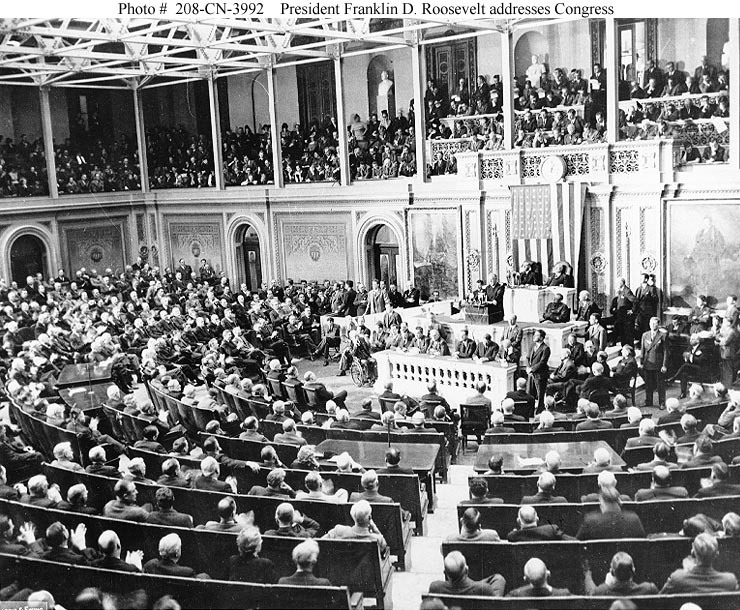 With this simple preamble, uttered by President Franklin Delano Roosevelt on December 8 before a joint session of Congress, began the challenge to a generation of wide-eyed Americans to do nothing less than save the world. It was a task of unimaginable proportion, perhaps the greatest responsibility ever foist upon a generation through the annals of mankind. And it was a task that suddenly fell squarely upon the shoulders of young men and woman who knew little more than the struggles of the Great Depression, the Midwest Dustbowl and the simple, predictable life of pre-war America. Almost comically, in the days following Roosevelt’s speech, Grace Tully, his personal secretary, received dozens of letters from grammarians from throughout the nation correcting the President in his choice of words. It’s a date “that” will live in infamy, not “which” will live in infamy, they wrote with prideful conviction. Some people simply didn’t get it. But thankfully, most did. The American generation of World War II – later appropriately dubbed “The Greatest Generation” – was violently wrenched from youth to fight the forces of fascism and imperialism step by bloody step across five of the globe’s continents and across two of her largest oceans. They did so with classic American moxie. If there were ever a ship to represent, almost personify, this American determination, it was the aging battlewagon, the USS West Virginia (BB 48). As the morning light warmed her teak decks in the early hours of December 7, she sat peacefully moored along battleship row paralleling Ford Island in Pearl Harbor. But on this Sunday Sabbath, the sun did not arrive alone. The 1941 air assault, launched from 6 Japanese carriers a few hundred miles north of Oahu, killed more than 2,400 men and women of the armed services and 68 civilians. Without warning or declaration of war, three hundred and fifty three Imperial planes attacked six Hawaii military bases destroying most air resistance and immobilizing the US Pacific Fleet. Three battleships were completely lost while 5 more were sunk or badly damaged. Aboard the battleship USS Arizona, which today still lies on the bottom of Pearl Harbor, more than 1200 men were lost in one blast alone — nearly half the day’s total casualties. The USS West Virginia didn’t fare much better. Through the attack, she sustained seven direct torpedo hits and two direct bomb hits. More than one hundred sailors and officers lost their lives trying, in vain, to keep her afloat. From the flames and wreckage of the West Virginia, American heroes and legends were born. The Commanding Officer, Captain Mervyn Bennion, was posthumously awarded the Medal of Honor for his leadership and bravery. Third Class Mess Cook Dorie Miller, the black sailor who manned anti-aircraft guns, was also later awarded the Navy Cross for his heroism under fire. By noon on December 7, the West Virginia had settled to the bottom of the harbor, a hulk of twisted, flaming steel and iron. She was originally thought to be unsalvageable. But some naval leaders had bigger plans for the ship. In 1942, huge cofferdams were built, weighted, and lowered by derricks to form a cocoon around the sunken vessel. Water and debris were then pumped out of the ship, while oil skimmers retrieved nearly 40,000 gallons of fuel. On May 17, 1942, the West Virginia was refloated and before long was transported back to Puget Sound for complete overhaul. And by September 14, 1944, the West Virginia set out for Hawaiian waters again to join the Pacific Fleet where she fought in campaigns at Leyte Gulf and the invasion of the Philippine Islands. 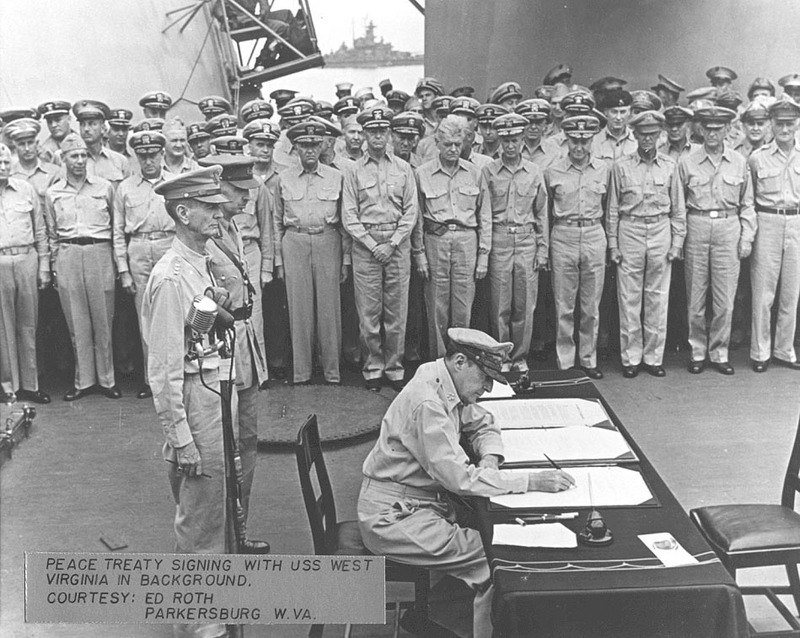 No more inspirational a photo was taken during World War II, then the August 31, 1945 signing of the unconditional surrender of Imperial Japan aboard the USS Missouri in Tokyo Bay. Visible on the horizon and over the shoulders of General Douglas MacArthur is the resurrected USS West Virginia. Like the proverbial Phoenix from the ashes, the ship stands as the only Pearl Harbor veteran afloat in Tokyo Bay that morning. In seeming peaceful silence, she silhouettes the signing ceremony – the symbolic end to a costly war only she saw begin. Her story, like so many of the stories of the men and woman of the World War II generation, is one that inspires. Few creations of man’s hand can so eloquently represent man’s own struggle. Indeed, the West Virginia represented all that was good in the Greatest Generation – her patience, her rise from decimation, her unbending resolve and her victory over world aggressors. She reflected the lives of those who built her, manned her, called her home, and fought to protect her. And in doing so, she has taken their identities and become an amalgamation of the Greatest Generation, making her, to many, an American hero.